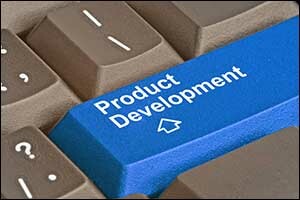 Do You Require Custom Test Solutions for Product Development? - EMC Technologies Inc.
Do You Require Custom Test Solutions for Product Development? Companies that deal with the innovative development of products for industry will often require custom test solutions to ensure safety, performance, and efficiency. EMC Technologies works with a lot of different clients to provide solutions based on their unique needs and specifications. Whether a universal test station or mobile test station would work best for solutions for product development, our team of highly trained and experienced engineers and technicians can assist. Custom functional test fixtures, interface test adapters, and RF circuit assemblies are just some of the services that we offer at our facility. Our understanding of the essential needs of each industry that we serve helps us to provide beneficial solutions for our customers. For example, the data and telecommunications industries will often require highly flexible test solutions. This is because the technology behind the products and components that they develop are ever-changing and always advancing. In order to provide cost-effective test systems, we need to anticipate their need to easily adapt a mobile or universal test station to both complicated and high-volume testing. We have also found that by working with our clients at the development phase, we are able to create custom test solutions for product development that exceed their expectations. Other industries might have different needs, such as the medical or semiconductor industries, which demand acceptance testing and rigorous validation to match their internal requirements. Mobile test station options have many advantages, such as maximizing the use of “off the shelf” parts and components to reduce costs. However, universal test stations have expansion capabilities that can be used to offer cost savings for testing similar product types and configurations. The choices made for custom test solutions and test systems should be based on the unique needs of the client and the industry that they serve. In addition to working with custom test solutions for product development, we also provide custom cable and wiring services. Our team of professionally trained and highly experienced technicians has the skills necessary to fabricate just about any type of cable. Our EMC Technologies team members are certified according to the J-STD-001 standard biannually, offering options to our clients for cables that are Mil-Standard or best commercial practices, as well as automated cutting and crimping for consistency and quality results. Our team is also experienced with the most popular connections and contacts to ensure that our clients receive comprehensive services for cable and wiring fabrication. Our custom wiring services can range from very simple projects on up to extremely complicated fixtures, depending on the needs of our clients. EMC Technologies delivers superior custom wiring solutions based on your specifications and the requirements or regulations of your industry. Make sure to visit our portfolio page to see some photos of custom wiring projects that we have worked on recently and in the past. If you have any questions about our abilities for custom cable and wiring services, make sure to speak with one of our engineers or technicians for details. In addition to offering custom test solutions for product development, test system, as well as custom cable and wiring services, we also extend our professional engineering services to our clients. Our Engineering and Design Department goes above and beyond the basic box approach that many contract designers and manufacturers embrace. We partner with our clients to create a full-service contract design and manufacturing service in its full meaning. What that means is that we will address your project as a complete system to include evaluation of package limitations, dimensioning and tolerance issues, mounting requirements, environmental constraints, and interfacing conditions. EMC Technologies applies our many years of experience and training in electro-mechanical design to meet the demands of the Medical, Avionics, Industrial, Military, and Communications markets. Industry test solutions, mobile and universal test station options, wired and wireless functional test fixtures, and RF circuit assemblies are just some of the services that we provide to produce manufacturable world-class designs and custom solutions more effectively and efficiently. If you are interested in learning more about EMC Technologies or would like to get a FREE estimate for any of the professional services that we provide, give us a call at 508-672-0808. We can answer any questions that you might have about our custom test solutions for product development or provide you with examples of the work that we do at our Fall River, Massachusetts facility.